A coalition of food safety and consumer advocates has written a letter to the Senate, urging legislators to “reject any effort to repeat, rescind or weaken country of origin labeling (COOL) in any federal spending legislation.” The World Trade Organization (WTO) just ruled against the United States COOL system, saying it was punitive to other countries. COOL was first enacted in the 2002 and 2008 farm bills. A dispute began over the labeling law in 2008 when Canada and Mexico filed objections with the WTO. 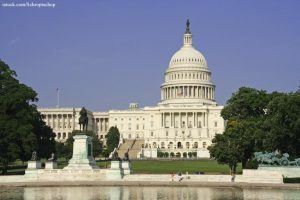 The U.S. Senate rejected efforts to weaken COOL in the 2014 Farm Bill and the FY 2015 Agricultural Appropriations measure. The coalition says that Congress should not short circuit the WTO process or give up under threats of tariff retaliation. The letter was signed by 207 members of the coalition, including The Cornucopia Institute, Consumers Union, Food & Water Watch, Farm Aid, Center for Food Safety, U.S. Cattlemen’s Association, Public Citizen, and Friends of the Earth U.S. I am not understanding why WHO would rule against this. It is the best way to trace an outbreak to it’s source. And, if that area is having problems, it is a good way that consumers can prevent a problem by avoiding that area until that area gets it under control. I want to know if my chicken is coming from China or the US. That is extremely practical and pragmatic information. If it is punitive, as they claim, then it should be. It encourages them to fix their problems or eat their own products. Disease outbreaks, not politics should rule the food safety business.